We just learned about Tooth Impaction. Let's learn about what a tooth is made of! 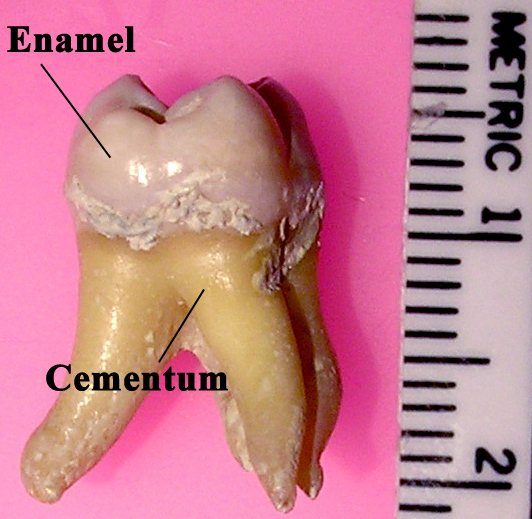 The outside of the tooth that you can see is called Enamel. Enamel is the hardest thing in the whole body, even harder than bone and nails. It is made up mostly of something called hydroxyapatite, which is a kind of crystalline calcium. Enamel is mostly white, but can be a little bit yellow or blueish if it is stained from food.